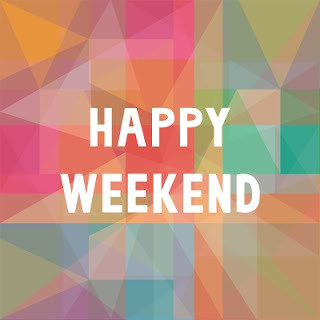 You'll have to forgive me for the missing Weekly Roundup from last week. Thanksgiving week started off with me getting sick and it was horrible. I essentially couldn't keep anything down, even water, so it wasn't any fun when you add that on top of having chills. No fever really, just chills. I pretty much slept for all but about 6 hours from noon Saturday through Monday morning. I love sleep, but not when it's like that. Luckily, I kicked that by Monday afternoon of Thanksgiving week. Unfortunately that didn't mean productivity shot up since I was still trying to recover. 48 hours of keeping nothing down meant I was pretty dehydrated and lethargic for a couple days. Thankfully though everything was back to normal by Wednesday, just in time to enjoy friends, family, football and of course food. I'm not normally a Black Friday/Cyber Monday shopper, but this year was different. As many of you know I'm now a SAHD while my wife works and I've had my eye on garage gym package. Nothing fancy, just a squat rack with a pull-up bar, a barbell and some weight plates. I ended up splurging and buying it. 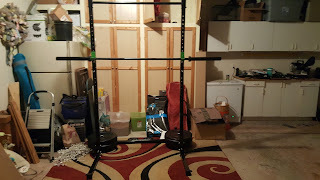 Surprisingly enough the way they had their deals set up I was able to get everything, plus some extra 5 lb weight plates, by purchasing them all individually as opposed to getting the package. I haven't been able to use it yet since it came in Thursday of this week, but starting next week it's game on. I need to get some more weight plates/bumpers since there's only 170 lbs total plus the 45 lb bar, but those will be added on via Craigslist purchases. My wife and I will be out of town this weekend although honestly I wish we were just staying home because of the weather. My wife is running the San Antonio 1/2 marathon this Sunday, so if any readers/fellow bloggers are in San Antonio shoot me an email or DM me on Twitter and we can try to meet up. Glad to hear you're feeling better and recovered in time for the holiday. Congrats on the home gym. Any plans to run a marathon with your wife in the future? Thanks for the interesting list of links! Whatever bug I had was horrible, although on the bright side at least I didn't really have to suffer through too much because I just slept it off. I've run half marathons with my wife before and actually did the one in Nashville earlier this year because my wife was pregnant and couldn't do it. I was surprised to see that my time wasn't that bad considering I did no training for it at all. I'm looking forward to getting back to working out now that I have my home gym. It's been way too long. As always, I appreciate the DivHut mention. Thank you! Glad to hear you are well over your sickness. By your description it sounded pretty horrible. At last you got your weights in. I know you have been anticipating your home gym for a while now and I'm happy to hear you are on your way with the weights. It was bad whenever I was awake, but luckily I slept through most of it. 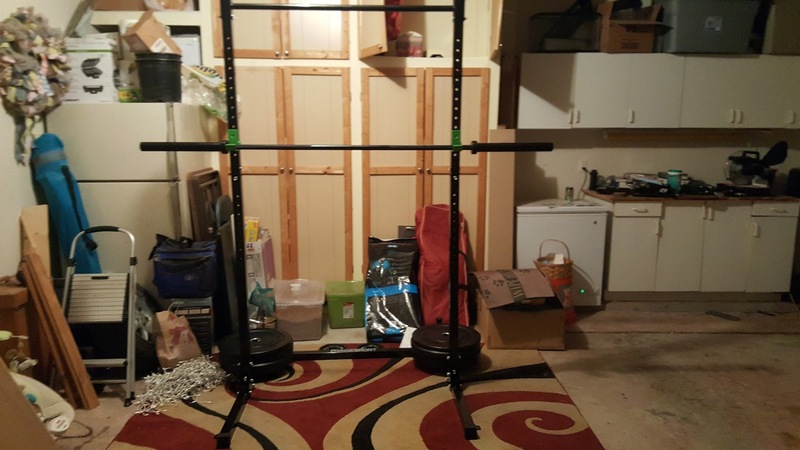 I've definitely been eyeing a home/garage gym and can't wait to start putting them to work and getting back into better shape.